MOSCOW, December 6. /TASS/. Russia’s national economic development can be bolstered by its own investments above all things, Prime Minister Dmitry Medvedev said in an interview with Russian TV channels. "The growth of the national economy can be first of all driven by its own investments - investments that appear as a result of economic development. Foreign investments, with all due respect and our aspiration to obtain them, are still a secondary source," he noted when asked about sources of investment amid sanctions. Overall, the premier described Russia’s economy as being ‘strong’. "Overall we have a strong economy, an economy of a rapidly developing country, which is why we should focus on our own sources of development. However, that does not mean, of course, that foreign investments are no longer welcome. Obviously, we will try to maintain all that has been done over the past years, including the investment climate, and, of course, improve it," Medvedev explained. "(Russian) economy is market-oriented, of course, open, with operations based on familiar concepts, nothing has changed here. However, obviously we are obliged to monitor what is happening, and the state is obliged to interfere in the process in certain situations," he said when asked whether some government’s actions can be referred to as manual control of the market. Trade wars cost the global economy $0.5 trillion, he said. "All quiet on the Western Front. Sanctions remain in place, this is a phenomenon of today. Trade wars already cost the global economy as much as $0.5 trillion, the real economic growth. Our trade with the EU and several other states lost nearly $100 billion because of sanctions that had been imposed on our country and our counter-measures. Not good," he stated, pointing out that since sanctions are maintained, there are Russia’s counter-measures, which even benefited several branches of the national economy. "There can be no monopoly, or - as our friends like to say - no hegemony," he said. 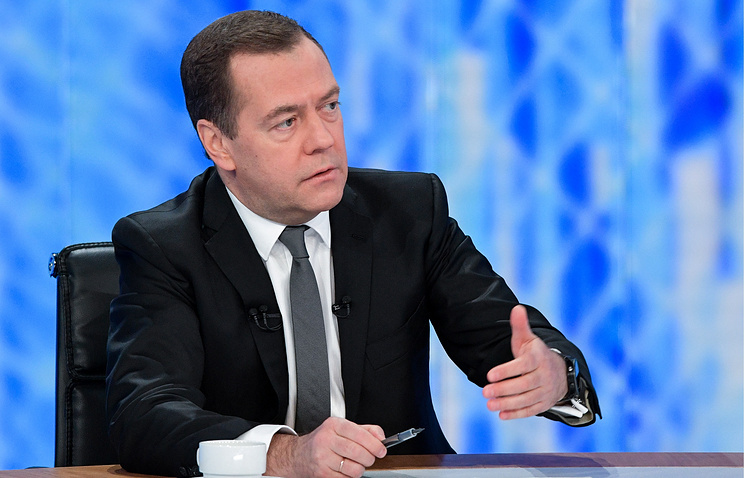 In this connection, Medvedev mentioned the US dollar as a reserve currency. "The dollar undoubtedly is the world’s major reserve currency but let us look back some 100 years and we will see that there was the British pound, the German deutsche mark competed with it, and today, the yuan is rapidly developing as, in fact, a reserve currency," he noted. According to the Russian prime minister, it is more difficult to outline a common global approach to economic issues than it used to be in the past, and referred to one of the past G20 summits. "When the 2008 crisis broke out, we all gathered together and said: a crisis has emerged, the situation is bad, but look, we are all sitting together at one table," he said. According to Medvedev, then US President Barack Obama was very glad to see the leaders of Russia and China at that meeting. "We managed to overcome the consequences of the first wave of the 2008-2009 crisis but now, issues rooted in the global trade crisis have grown. Now, the United States is waging trade wars against China and the European Union, let alone our country," he stressed. The Russian prime minister was confident that "it is harmful for the principles of global trade." "Some top officials, including those in the US, went as far as to say that the WTO is useless, all these principles must be abandoned and partnerships must be dissolved. But then a question arises, what rules will remain?" Medvedev said. "De-dollarization in general does not mean abandoning the dollar. The dollar is certainly the most important world currency, the most important reserve currency, and there will be no ban on the dollar’s circulation - within the limits set by law - in our country. People will be able to freely place money in dollars, free to sell dollars, exchange them into rubles and other currencies. No one has ever had such ideas, they are absurd and contradict economic rules," he said. At the same time, Medvedev noted that Russia needs to engage in de-dollarization, "simply because we have to focus on our currency." "It’s more profitable for us to pay in rubles, it’s more profitable for us to establish relations with other countries in rubles," the Prime Minister said. Russian Foreign Minister Sergey Lavrov said earlier that Russia considers it important to continue working on expanding settlements in national currencies. "We must continue vigorous work on further geographical diversification of external economic relations, primarily through deepening cooperation with Asian countries, as well as Latin America and Africa. Russian embassies in these countries are counting on bringing attention of business to dynamic markets, they regularly formulate specific proposals for this, and we see that these proposals are of increasing interest among Russian economic operators," Lavrov said. 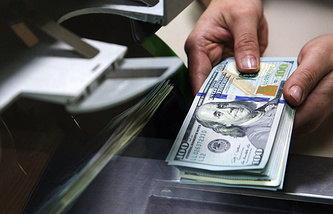 Russian Presidential spokesman Dmitry Peskov told reporters earlier that the process of de-dollarization of the Russian economy cannot be short-term, but there are trends towards expanding the use of national currencies in international payments. "This is a very complicated process. President Putin earlier has talked about the need to expand the practice of using the national currency, the ruble, in settlements with external partners and to reduce the share of the dollar in total volume of international payments. This is a process that cannot be short-term, it is time-consuming. It is a long and painstaking work," Peskov said. At the same time, he drew attention to the fact that now there is a "tendency to expand the volume of payments in national currencies in various areas." In September, Head of VTB Andrey Kostin stated that he considers inevitable for Russia and a number of other countries to transition to settlements in national currencies and refuse settlements in dollars if the United States continues to use the dollar "as a weapon."